“Apollo is smiling down on us tonight. He’s gotten with the times and has traded his lyre for a plugged-in Strat. He’s playing through me, through all of us, pleasingly pounding the marrow in our bones. It’s that kind of night when even chaotic feedback is exploitable and my vibrating skeleton recycles that energy through my fingers. Maybe Apollo had a hand in helping Jimi Hendrix control and incorporate feedback. But he and perhaps all the gods are on our side tonight.” Robert Crawford, from the prologue to American Zen. Welcome, Rob. I promised you some tea when you come round for this interview, so what’s your brew? Who you calling a tart? Get that tea down you and let’s get started. Primarily, I’d like to take a little bit about your novel American Zen. To help readers get up to speed (and to save me the task of writing it myself) can you tell us what we need to know about this book? What you “need” to know about American Zen depends purely upon what you need out of it. It’s got liberal politics, it’s got laughs, it’s got rock and roll (It even comes with a sound track that I can send on CD if you wish). But at its most fundamental level, AZ is about the strength yet the fragility of human love and friendship. It’s about four guys who’d made up four fifths of a rock and roll band who reunite after nearly 30 years. They don’t greet each other with man hugs and merrily pick up where they leave off. There are conflicts, there are tests of their character and nothing can be more testing to one’s patience and good will than a week-long trip in one van up and down the eastern seaboard. Can you sum up the book in six words or less? Coming of age, coming of middleage (Alright, I had to cheat a bit. Never said I was great at loglines.). So, for me the pace of the book was surprisingly fast – especially when I checked the word count and realised you were just a few words shy of the 150k mark – which suggests you spent a lot of time tweaking the structure and composition of the novel to keep the pages turning (all 500 of them). How do you decide where to add more detail, more words, more action, and where to cut some out? First off, the Create Space version is only 358 pages long (although there are over 40 lines per page, well past the standard 32). Secondly, I really can’t take credit for the fast pacing because it was a rare case of an author not writing a book as one writing the author. I may have mentioned to you that the four months I was writing the draft was my Richard Bach moment. Richard Bach said about 40 years ago that a voice in his head screamed, “Jonathan Livingston Seagull!” And his book completely took over his life. Bach said it was unlike anything he’d ever written before or since. Whatever the impetus behind his book or mine, whether it be supernatural or simply riding the surf of a new and strange inner inspiration, this is what American Zen was like for me. The first draft was knocked out in exactly four months flat and during those four months, I’d taken only 14 days off. I wrote it at work, I wrote it at home, I wrote it on the beach. I was fortunate enough to have two friends and fellow liberal bloggers (Alicia Morgan and Steve Benson) as technical experts because they’d been in the music business and had performed with some heavyweights since the 70’s. My protagonist, Mike Flannigan, had to sound as if he knew what he was talking about regarding being in a rock and roll band, the gear that was available at the time, etc. Since I’d published it, people have asked me if I ever belonged to a rock and roll band. One or two were convinced I was. What to add, what to cut out. Aye, there’s the rub. That’s one of the greatest challenges of a novelist and luckily, I was on something like autopilot to the point where I could trust my muse to make the right decisions even during the revision process. I was very lucky in that I had all the dramatic spikes (or story arcs) lined up in my head on the first or second day and it was as if some voice in my head was telling me, “Robert, if you don’t write down this parade of images now, you’ll be sorry because you’ll never see it again.” It was almost as if I was taking dictation from a higher creative power, as if I was writing the biography of an alter ego. Other than that, I just tried to end each chapter on a little cliffhanger, such as when Mike gets cold-cocked in Billy’s garage or when they saw Dave’s old van parked in front of the Rock Garden. I usually have a pretty good sense of when and how to end a chapter and American Zen was certainly no exception. The book deals with some pretty heavy themes – life, death, sexuality, youth, middle age, disease, frustration, and, of course, the music. How many of these big themes are borne from your own life experiences? Probably just the middle age and frustration and even then from a literary mindset. I’ve never been in a gay relationship, even though I’m bisexual, never known anyone who had HIV or AIDS, and I never even learned to play guitar. As I said, this was the story as it was presented to me, almost as if I was writing someone else’s memoir. It was written so differently (I’d never written in first person before nor in a purely chronological way) I feel almost guilty putting my name on the cover. I know very good and well I’d written it. But at the time and in retrospect, it just didn’t feel that way. Yet, at the same time, little incidents and snippets of conversation from my life in the late 70’s, when almost half the book takes place, found their way in AZ. I’d always wondered why I held on to those meaningless little recollections that by themselves don’t really mean a whole lot but I was able to somehow make use of them in AZ. The Jimmy Carter Show was a real group that was around Massachusetts in the late 70’s and the teleporting drummer gimmick they used in AZ was the same exact one they’d actually used. Dave’s and Rob’s physical appearance was based on two guys I knew at the leather shop I worked at when I was a kid (the same one at which all the band members but Billy worked.). Mike is my idealized version of myself: Steady family man, well-paid and respected liberal journalist. He’s where I want to be. Billy is the opposite side of the same coin and he is where I’m trying to move away from. Minus the conservative principles, Billy was where I was: Former Special Forces, haunted, embittered, with a dark side threatening to overwhelm what good is left. Between these two very dissimilar men stands yours truly. I never knew that these two polar opposite guys were actually me until long after I’d finished the first draft. What unites them and maintains their friendship is not the music but a common, inexplicable love these guys feel for each other and others in their circle. Have you ever been in a band? If so, what did you play, and were you any good? See above. Like Mike and Jo Jo when they went to junior high together, I played incredibly uncool instruments like the coronet and French horn. I doubt I even know how to read music, anymore. But as I’d said, several people have asked me the same questions you just did and I take that as confirmation that as a novelist, I’d done my job well and got them to willingly suspend their disbelief. How did you manage to create such vivid scenes involving the band mates of The Immortals? Are any of their hi-jinks semi-autobiographical? As regards the vivid scenes and hi-jinx, you’ll have to ask my muse. 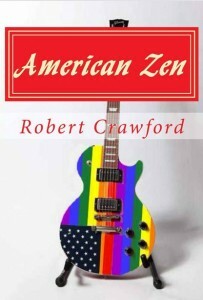 Writing American Zen was like watching a movie with my third eye and conscientiously writing down what I’d seen. The dramatic spikes such as the fight in the graveyard, the Immortals playing White Zombie in the church, the practical joke Billy pulls on Rob at the wedding, to name just a few, are pure fancy. And yet, despite willingly ceding much self-conscious control and outsourcing my critical acumen to this muse, the discipline never left me and this higher creative being still kept these characters consistent, the events compelling and plausible and narrative snappy, lyrical or whatever the situation called for. To create a world from the ground up and sympathetic, identifiable and interesting characters to populate it, all aimed toward a satisfying denouement requires tremendous discipline if not talent. Essentially, the novelist succeeds where God fails. Tell us about your other books – and, out of all your tomes, which is your personal favourite and why? You live in Tax-achusetts, a location that features heavily in American Zen, famous for its propensity for wasting perfectly good tea leaves, world class educational institutions (U-Mass, of course) and the greatest rock band in history – the Pixies. What makes MA a special state for you? So, I take it you’re not an Aerosmith fan? Before I’d enlisted in the Navy, I’d enlisted in the Air Force (my father was my recruiter). That didn’t work out so well and the Air Force sacked me at about the same exact same time my father retired. His new civilian job brought him to Massachusetts and he picked me up at my grandfather’s house at Central Islip, New York and took my mother and me to Massachusetts. My first lasting job was at a leather shop in West Concord in which I made little keepers for belts just like Mike. Except for brief periods (Navy, out of state girlfriends), I’ve been here ever since and cannot imagine living anywhere else. The winters are brutal but my sons live in the next town so I have some family to keep me tied here. As well as being a novelist, you’re also a political blogger. What’s your area of focus, and where can people find your columns? I’ve been blogging politically for well over eight years. I’m on my third blog (I’d deleted the first two) and the current one is Welcome Back to Pottersville, which has a It’s a Wonderful Life motif to it. My area of focus? Name it. It’s a chaotic, catch-as-catch-can, all purpose liberal blog and I guess one of its few saving graces is when you surf in, you never know what you’ll get. Occasionally, Mike Flannigan even chips in with his own byline! I haven’t been tending to it as well as I suppose I should be which segues neatly into the next answer. I also allegedly maintain a dedicated book and writing blog called Kindle in the Wind, which I maintain even more sporadically. Like many other authors, I’m also on Twitter, in both a literary and political capacity as @Jurassicpork59 and @KindleintheWind. I’m also on LinkedIn and Google+. What’s next for Robert Crawford? I’m chuckling as I’m writing this because you of all people know what’s next. But for the sake of your readers, we’re collaborating on a thriller entitled TATTERDEMALION in which Buffalo Bill, Annie Oakley, Sitting Bull, Arthur Conan-Doyle and Sigmund Freud go after Jack the Ripper in 1888 London. The first four chapters, on which your host collaborated on the third and fourth, can be found on Scribd here, here, here and here. This past weekend, I’ve been proofing and reformatting a satirical dictionary I’d cobbled together during the 90’s entitled The Misanthrope’s Manual and a sample can be found here. If you ever read Ambrose Bierce’s The Devil’s Dictionary, you should love this as it’s a somewhat more updated version of TDD, or what I fancy Bierce would write if he were around today. 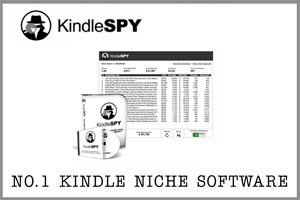 It should be available on Kindle and Create Space within the next couple of days. And, as proof that American Zen was an isolated peak as regards literary discipline, I’m also in the middle of American Zen 2: Rock of Ages which, along with the Misanthrope’s Manual, was featured on Scribd. In addition, I’m also working on what I call the Joe Roman trilogy (although it can easily go beyond that) and have in the works three novels in various stages of completion/disrepair. Roman’s a unique character in that he’s a former Soviet/NYPD detective with dual citizenship who occasionally works for the Russian mob in Brighton Beach but has a soft spot for missing, abused children. It starts with The Saipan Seven, continues with The Puppet Children and concludes with Chernobyl Dreams. In the future, I may also print a volume of my poetry written in the 80’s and 90’s. Multiple self-published authors often sell the best so it’s always important to keep lots of irons in the fire. Nick says: thanks for dropping by, Robert – and thanks for taking the bait and mentioning our new project, Tatterdemalion. The book is essentially The League of Extraordinary Gentlemen vs Jack the Ripper, and has been an absolute hoot to write. The book should be completed in time for the close of 2013, so watch this space if you’re a fan of thrillers, mysteries, and histories or fill in the contact form at the bottom of this post to get new articles, blog posts and information about free book giveaways emailed direct to your inbox. I don’t know if it’s proper form for the interviewee to be the first to chime in with a comment but I couldn’t help but express my admiration for the quality of the questions and finding the pic of my old little supermarket in West Concord, MA. That and the other photos helped spice up the interview transcript. Looking forward to your review of AZ. thanks for the great answers, Robert – was a blast having you round. You supply the tea and crumpets next time.